Tappan Collective makes it possible to buy original art, paintings, photographs and more from emerging artists. Founded by LA natives, who also happen to be an artist and art historian, the website provides expertly curated collections. The founders, Chelsea Neman and Jordan Klein, named the company after a place of joint study, Michigan’s Tappan Fine Arts Library, within those walls, the two developed their understanding and love for arts and culture. YES! You CAN buy great pieces of art for under $100. The pair quickly realized the lack of opportunity for emerging artists. Many of their talented friends, fresh out of art school, were struggling to exhibit and sell their artwork. They’ve tapped into local art scenes across the world to exhibit a collection of cutting-edge work by the next generation of artists. The result? Effortless assemblages of stunning artwork. 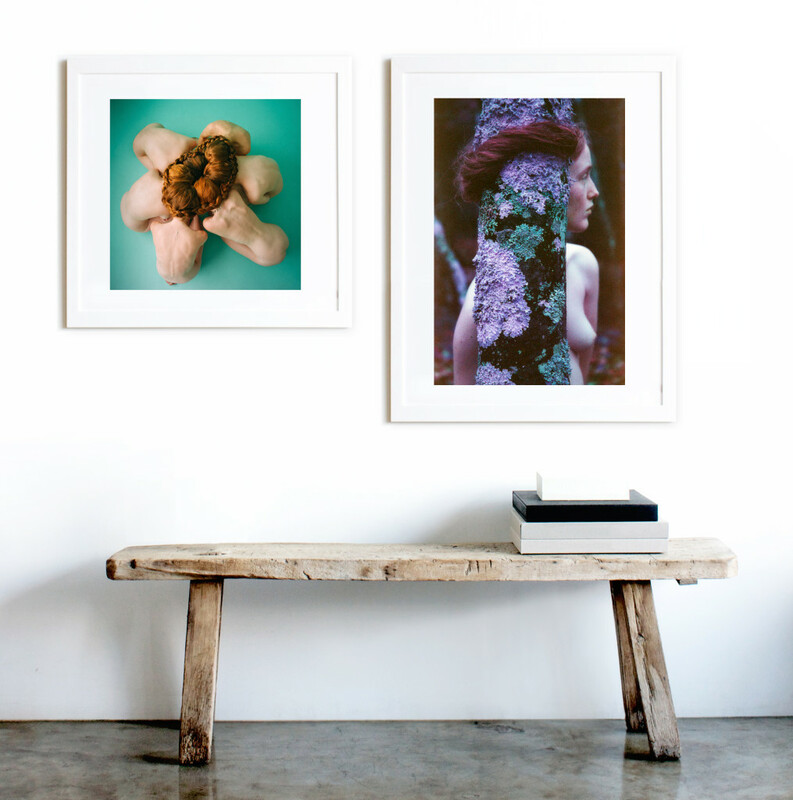 Framed artworks hung beside a burlwood headboard, featuring Nathalie by Gia Coppola framed print in Michelle Adams’ bedroom, Lonny Magazine. In addition to helping one discover artists, Tappan Collective also attempts to make collecting art more accessible to everybody, in various socioeconomic degrees. Prices for works on the site are reasonable, some starting under $100. And because framing art can be a big deterrent from buying it, you can choose to have the work framed when you purchase it. I bought prints several years ago that still remain unframed in my closets. Whoops. The errand takes more time that you would think! Fort Point, San Francisco, California by Isaac Zoller // A Well Of Living Water by Brandy Eve Allen perched on the bookshelf with stacks of vintage National Geographics in a home designed by Benjamin Vandiver. The company has already attracted a celebrity following. Among Jonah Hill’s collection of artwork by Ed Ruscha, Alex Prager and KAWS, he also likes to support emerging artists from Tappan Collective. And, how’s this for a clever-little-option? The website even has an “art advisor” button which offers art consulting services for individuals looking to start a personal collection. They can suggest works that fit your unique aesthetic and space. 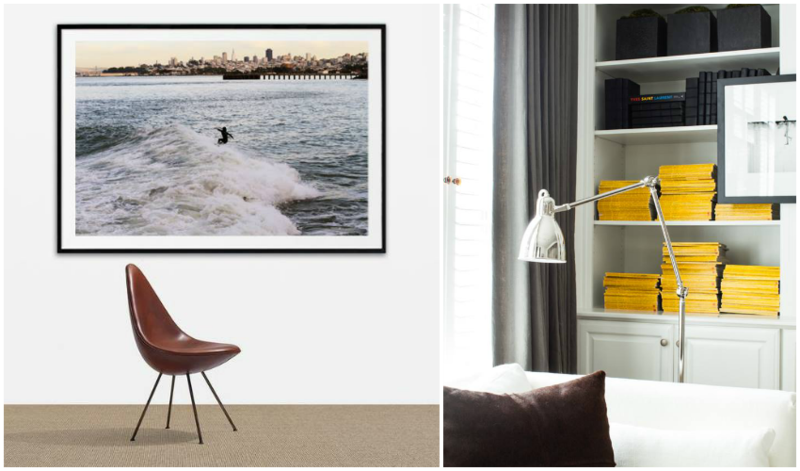 As a holiday gift to moi, I treated myself to two photography prints, one from acclaimed winner Matin Zad of the BOTTEGA VENETA and VOGUE New Exposure Photography Competition. Cover your bare walls, they’re naked!